The member of Parliament for Assin Central Hon. 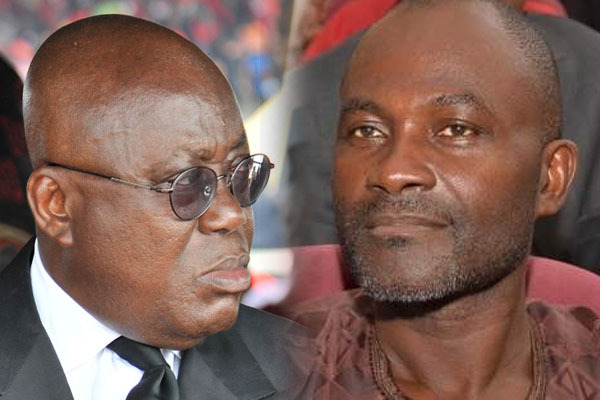 Kennedy Akom Preko Agyapong on Ashh fm morning show with Lord Innusa Lancer this morning said with highly temper that Nana Addo Dankwa Akuffo-Addo is the most arrogant and terrorist president in the world. He added that if Nana Addo continues with his character as arrogant and terrorist, then Ghanaians are going to suffer under this he claimed NPP chapter two. Assin Central MP said he wondering why the president elect, Nana Addo, 72years old man is soo wicked to the extent that since he became the flag bearer of New Patriotic Party, more members of the party has met their untimely death. He made mentioned of Abuakwa North Mp who died right after he visited Nana Addo for asking him to clear the debt he was owing him. He explained why the late Mahama Adams who was Upper East Chairman for the NPP died. And he finally said that he will never blame anybody but Nana Addo about Dasebre Gyamena who work at Ashh fm but did not return after he went to his hometown to vote while nobody know where to be found him.